It’s the week before New Year’s Eve, and Shanaya’s boyfriend is away for an official conference. She doesn’t want to waste a chance to have a harmless fling while he is away. While looking for a date for her New Year’s party, she meets a mystery man on Tinder - a young, charming and dapper gentleman who has no hidden agendas. He just wants to show Shanaya a good time at the party...and in the bed. 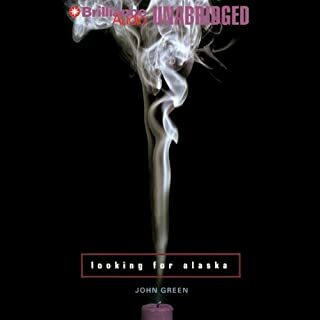 ©2012 John Green (P)2012 Brilliance Audio, Inc.
STORY - As a rule I don't like sad books or movies, but I decided to take a chance on this one for the sake of variety and also the very high ratings. I was not disappointed. The only reason I didn't rate this book a 5 is because it was -- well, predictably sad. The story is about two teenagers, Hazel and Augustus, who both have cancer and fall in love. They are both very smart, mature for their years and have healthy attitudes about their illness. The story doesn't dwell on tear-jerking descriptions of their symptoms and suffering. It is more about how they struggle to just be normal teenagers and try to do what other kids their age do. That is what's so sad, the fact that they just accept amputations, tubes and treatments as normal, often joking about their own shortcomings. 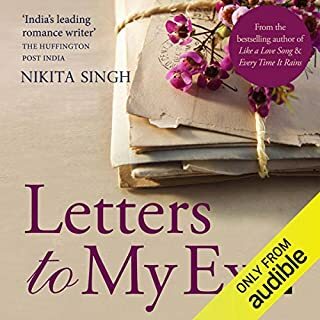 Despite the sadness, it is a beautifully written story and I couldn't stop listening. Hazel and Gus are loveable teenaged characters and their story seems very real. The truth that serious illnesses affect children is something we don't like to think about, but sometimes we need to be reminded. NARRATION - The reading of this story is good, but there is nothing special about the performance. OVERALL - If you don't mind a good cry, I would definitely recommend this book. 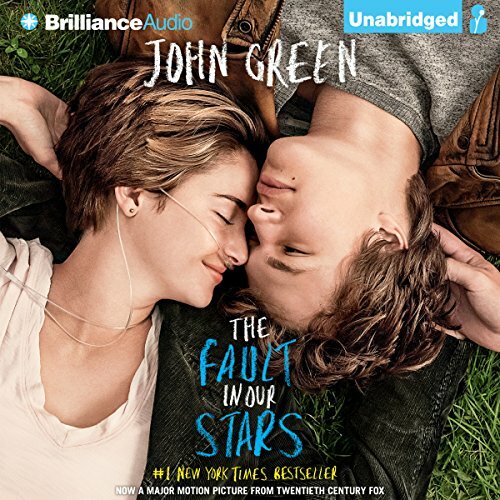 Where does The Fault in Our Stars rank among all the audiobooks you’ve listened to so far? I would place this one near the top of the YA titles I've sampled. I enjoyed the couple's time in Amsterdam. I liked the author of Hazel's book. He was flawed, humorous, and inevitably redeemable. I also thought the simplistic drawing of the circle diagram was hilarious. I did cry at the end and chuckle during the middle. John Green has the ability to insert humor at almost every turn. This was his best attempt at creating sadness. I generally find Teen/Young-Adult fiction tedious but I laughed more than I cried (I did both, sometimes simultaneously) during this wonderful book. 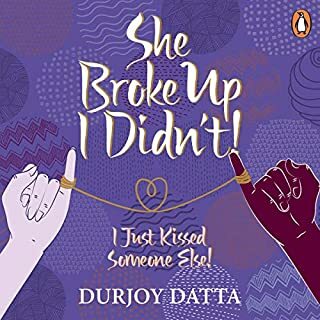 I have not been a teen for several decades (and was never a teenage girl), but I could not put this book down, and sighed when it came to an end. This is decidedly NOT a book about cancer, this is a book about life. The narration was fantastic, depicting subtle and incongruous teen emotions and the breathless panic of oxygen deprivation. The characters are mostly teens, with fledgling self-images yet they are written with nuance and power and grace. I find most books in this genre sappy, boring, and (unintentionally) uninspiring. I found this book deeply inspiring. It is about choice, particularly the choice to love, regardless of the inexorable outcome of pain, or death, or both. I really enjoyed sharing many books with my daughter when she was young, in installments on short car trips, or whole books on long trips. 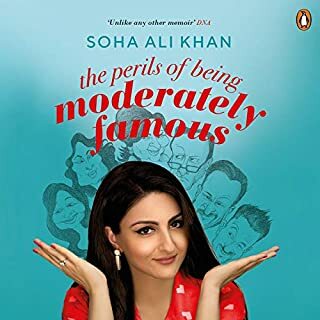 Although I would have recommend this book to her, this book has a particularly personal narrative style that I think is better absorbed personally, at least the first time. Quite a few reviews say things like “heartbreaking” or “sad”. I did not find this book ever sad or heartbreaking, but instead intensely poignant. This is not a tear-jerker. This is a classic that I expect will be recommended and read for many decades to come. Even 71 year-olds can love this one! As the title states, I am 71. I am also a retired college English professor with a strong interest in young adult fiction. I have discovered over and over that excellent young adult fiction can be totally appropriate for adults, too, even aging ones. This is a novel that rises above sentimentality but not sentiment. Like all good fiction, it broadens one's understanding of the human condition. I strongly recommend it. I've never heard of John Green nor did I know this was a Young Adult book or I may have passed on it completely. I chose it because of all the 5 star ratings. There's no way to sugarcoat this. This book is about teenagers with cancer. Hazel Grace Lancaster, the narrator, is 16 and carries an oxygen tank with her everywhere. Augustus Waters lost his leg to cancer. These two teens meet in a support group and eventually fall in love. Although the disease is always front and center, Green does an excellent job of creating an adventure that is not related to their illness. He has worked a beautiful story around it in order to follow something more important; a dream to meet Peter Van Houten, an author who lives in the Netherlands. Hazel needs to find out what ultimately happens to a character in one of his books and Augustus is going to do everything in his power to help her make that dream come true. These two teenagers are so inspiring they treat cancer like more of an inconvenience than a life sentence, a real life lesson on many different levels. Kate Rudd brought Hazel to life. She did an excellent job with the narration. It doesn’t matter that John Green’s target audience is teenagers – his characters are smart, honest, and funny no matter how old you are, and the universal themes captured in this book are, well, universal. Terminal cancer may not be the most uplifting of plotlines, but don’t let that stop you from listening to this wonderful story. Though I’ve listened to John Green before (Will Grayson, Will Grayson was also really good! ), this was the first time I heard narrator Kate Rudd, and I was most impressed with how she handled all the male and female characters – young and old, American and Dutch. I will definitely be looking for more of her performances in the future! 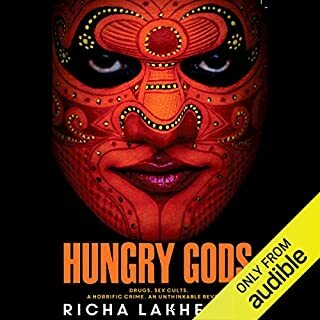 I thought the narration was excellent and as such I recommended for everyone to listen to it on audio. I bought this audio several months ago for my sons (ages 12 and 15). I was surprised how much I liked it too, though I found it much sadder than they did. We enjoyed the literary allusions and humor throughout. I haven't seen the movie, but they both thought the audiobook was superior. There are books that you experience in a state of welcoming bliss. They stick with you because you needed to read them JUST RIGHT NOW. And somehow the universe converged at the perfect moment to drop a wonderful story about this or that into your hands. You read with great fervor the adventures, sadness, mystery, or humor of your fictional doppleganger, and when you are done, you feel awash in both elation and deflation, wondering if you will ever find another story like this one. This was not one of those stories. It could have been, and at times it seemed on the verge of becoming one of them, but it ended and I did not feel that. I have no doubt that it probably instills in others the feelings that I wrote about above. For me, I experienced the roller coaster of Hazel Grace's young life and was properly enchanted, worried, and hopeful for her. I think that I wanted something even more profound in the end, and it just wasn't there for me. This, in no way, should discourage you from reading this story. It is beautifully written and wonderfully executed. Kate Rudd does a fantastic job of bringing Hazel Grace to life, to the point that I'm not sure they aren't the same person. This story of life, and its byproduct cancer, is filled with moments of pure happiness, humor, and devastating sadness. John Green's compelling storytelling is on full display here, and I cannot fault the story for any shortcomings. An excellent read no matter what my unreasonable expectations may have been. I had a little trouble getting into this book at first (hence the four stars), but once I did I was swept away by it. I even won a "weekend warrior" badge for spending all day Saturday listening to it! How does this book make the world a better place? It will remind you of how precious life is. Hazel and Augustus, the teenage protagonists who are battling terminal cancer, live more life in their short months together than many people live in years. Their diagnoses urge them on instead of holding them back. They appreciate the fragilitiy of life in a way that we all should, but only those touched by illness often do. Together they experience friendship, love, adventure, loss and ultimately death. Listen to this book and think of the people who are precious to you, then call them and tell them you love them. It's the kind of book that inspires you to do that. ADDED BONUS!! 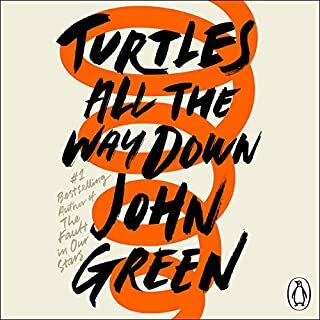 At the end of the audiobook you get to listen to an interview with author John Green. Green talks about the book, the characters and even his thoughts about what happens to characters after a book ends. 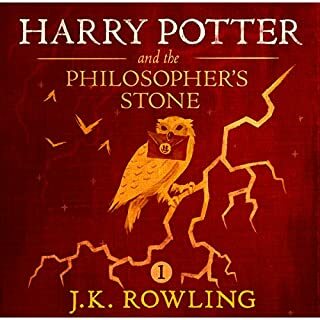 He also reveals that there is a version of this audiobook where he is the reader, for those of you who love to listen to authors narrate their own work. To conclude, whether you are a young adult or an adult who is young at heart, you will enjoy listening to this book. It will remind you of how beautiful life can be, even - or especially - in the face of death. Although I went in prepared for sad, I wasn't prepared enough. At times I felt like John Green was pulling my heart out and stomping around on it, but I enjoyed it nonetheless. Overall, I felt it was a life-affirming and beautiful story despite its focus on (and very realistic treatment of) illness and death. Definitely the best Young Adult novel I've read in a long time, and Kate Rudd's narration was great. John Green has won awards for his Young Adult fiction and this, his latest novel. features teenage protagonists but really this is a book which will be enjoyed not just by teenagers but by anyone who has ever been a teenager and still remembers at least a little of what that was like. It begins in a teenage cancer support group and its subject matter is daunting but go beyond that and you'll find a novel full not just of love and courage but black edged humour and characters who feel real. For such a short novel it packs a real emotional punch and when I finished the book it felt like I was leaving friends behind. A word of thanks too the narrator, Kate Rudd. The book is a first person narrative and she not only convincingly brings Hazel Grace to life but her friends and family. If this doesn't merit an Audies award then there is something wrong with the voting system. I felt unusually resistant to reading this book. I, like so many others, have said a final goodbye to loved ones taken too soon by the whims of this unforgiving disease. I wasn't sure I could face a story examining the life of such young sufferers of serious, indeed terminal, illness; I couldn't imagine what enjoyment (as that is, after all, why I read fiction) there was to be found between the covers of such a book. How wrong my innate assumptions have proved to be. This story is a triumphant celebration of life in the face of death, a homily to the strength and determination of its characters to 'live their best life today' no matter what mountains they may have to climb tomorrow. 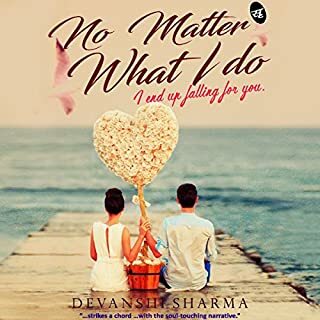 The author explores with great sensitivity the impact of a terminal diagnosis on relationships and creates an achingly beautiful and unforgettable connection between Hazel and Augustus, as they struggle together to make sense of and come to terms with the hand they have been dealt. There was plenty of laughter and some inevitable tears, but the greatest achievement of this work is in relegating cancer to a mere supporting role - there is no room for it centre stage here - that place belongs unquestionably to the bonds of love which live on beyond the farewells. For, whilst we hold on to our memories of those whose footprints we can no longer see in the sand, how can they ever truly leave us? 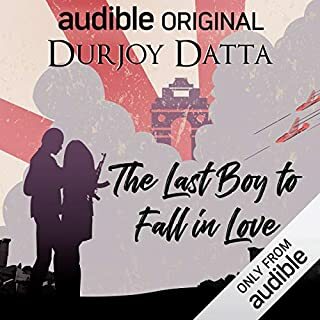 The fault, dear Brutus, is not in this audiobook. I would definitely recommend this to a friend, if this book were not just as Hazel describes An Imperial Affliction in her book, that it's so special it just 'yours'. My favourite character was certainly Hazel Grace, Augustus Waters not far behind. Hazel is a character I can relate to a lot. Though I myself do not suffer from cancer or a terminal illness, I think in the same way and understand many of her thoughts and emotions. She's real, she's down to earth and not like these over-sexualised girls you get in some stories. The lack of depth into the lives of other characters and the lack of several characters close to Hazel and Augustus is actually a good technique, and makes the book feel closer to you, like although she doesn't literally say 'you're my friend' because obviously, you're reading the book, you feel like you're one of the only people being let into their lives. When Hazel says 'my only friends are my parents and an author who doesn't know I exist', she knows what's real but she still feels a connection to AIA, that I find myself feeling to TFIOS. I see a lot of Hazel in me, to be honest. Metaphorically and literally, a voice. I have in fact read the book before hand, but being a British 14 year old it was sort of hard to imagine how they would speak, never having spoken to an American before. She made Hazel more real to me. Don't get me wrong, the book on it's own is brilliant, but there's something about Kate Rudd that makes me believe the story happened, like it's literally Hazel explaining it to me. Oh definitely. 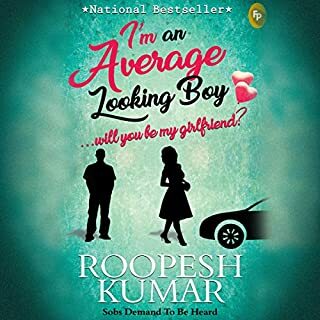 I was crying for hours at the end, and some parts like with Issac kissing Monica and Augustus' comments on 'young love in all it's awkwardness' (or something similar) made me laugh until I cried. I felt like I knew them in a way, it felt so personal. 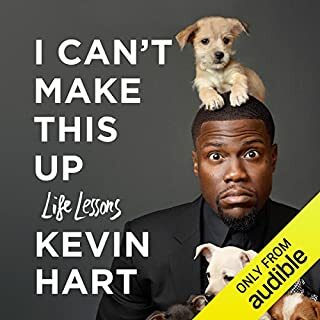 The fact this book is an audiobook makes me incredibly happy, thank you for selling it. Now, even if I'm too tired to read, or too busy to pack a book, I can listen to my favourite story over and over. DO NOT miss this book, if you do, you'll be missing out on one amazing book!!! 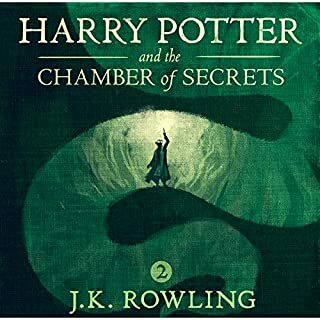 First audio book I have ever restarted as soon as I finished. Somehow manages to avoid cliches, engage you in the characters, make you laugh and make you cry. It walks the line between pretentious and meaningful but falls the right side. Can't stop thinking about it. This is not a great book for teenagers, or a great book for adults, it is just a great book. Yes I know that this book is technically a teen fiction but at *mumbles age* I simply loved it. With it’s characters that my teenage self (long forgotten in the mists of time), fell in love with and a story that carried me along effortlessly. I would urge you to take a chance on it. You’ll laugh, you’ll cry, but you won't be sorry. This is no ordinary cancer novel. it is the truth and has such depth into the situation of having cancer. I have quotes from this book that are just genius. I really enjoyed listening to this book and made me really reconsider my life. BUY IT, LISTEN TO IT AND LIVE IT! Absolutely beautiful - buy this book!!! 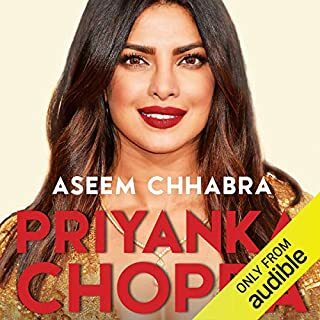 This is my first audio book purchase and I spent a long time listening to samples of various books ...SO pleased I chose this one. It is such a moving, poignant, beautiful story, written so delicately and so artfully,and narrated perfectly. The audio version of "page turner".I couldn't stop listening to this, and finished it within a weekend. I'm not sure that teenagers would necessarily use all the language that the two teen characters used, but that is an aside. The story is clever, honest, original and entertaining. Really likable characters....when the book ended I felt sorry to be leaving them behind. This book will make you laugh, smile and cry. John Green has managed to bring a new perspective and emotion to cancer. Within the first chapter I instantly wish that I had a friend like Hazel Grace. This book was inspiring and touching. It made me laugh and cry the whole way through. A definite must. This might be intended for young adults but anyone can listen to this book. The performance by the narrator was truly astonishing and like all good books, I feel that I am changed as a result of reading it. I know this is coming out as a movie but I'm hesitant to watch it. I don't want to tarnish the memory of something that I consider perfect. Should warn you that the last 16 minutes is an interview with the author. The ending caught me a bit by surprise. This book has left me speechless, breathless and in absolute awe. Impeccably written, characters with such depth it’s impossible not to picture them as real people. As much as I enjoyed this reading/audio journey I can’t help but be slightly envious of John Green’s inspiring work. I listened to this on audio and Kate Rudd’s performance as narrator was stunning. 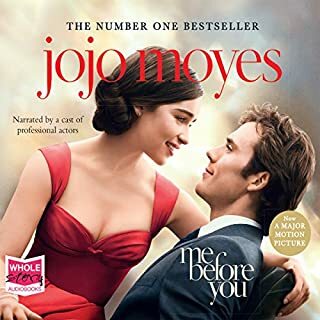 As someone who not only has life-threatening disabilities, but as a person with many friends who can relate to the characters of this book on a more pure and personal level, the attitudes of the characters, especially in regards to their illnesses, ailments and situation is captured perfectly. I can’t recommend this book enough. I absolutely LOVED it. This is the type of book every reader dreams of picking up. The book you can’t stop thinking about that continues on within you. This book is the golden light in the dusty corners of literature. A pure gem. Kate Rudd, despite the Americanness, has the most expressive reading voice I've heard. It's nice to read a story by YouTube star, John Green. Having lost someone I love to cancer, I was hesitant to read this, but Green handles the subject with great honesty and respect and the result, while heartbreaking, is utterly transcendant. A thoughtful depiction of young love and Illness. The naration was delightful, and John Green manages to tell a beautiful story full of intimate moments of love and loss, peppered with poetry and words of wisdom. Everything I hoped for and more, it made me laugh, it made me cry, it changed my life. I'd read The Fault in our Stars in book form, and had watched the movie. 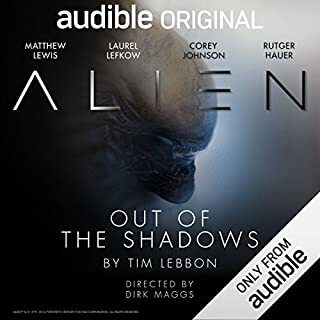 So this audiobook was reasonably low on my wish list, but I'm glad it recently made it onto my actual book collection. The Story is a true roller-coaster. Parts of the book made me laugh, and parts made me happy. But there were a lot of tough aspects to it. The characters are very well developed, and I emotionally invested in them. 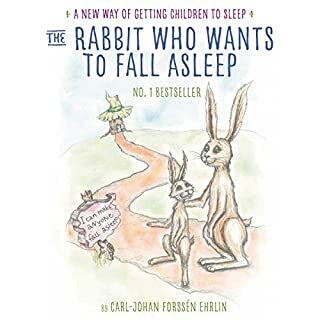 I tend to read while I'm walking, and this was the first book that made me genuinely worried that I'd burst into tears out in the street alone. That would have looked seriously weird, but this book is so well written I never regretted the listen. The reader, Kate Rudd, deserves particular praise. It's hard for one gender to read multiple characters covering a wide variety of ages, and two genders. I thought Kate was outstanding reading this book. The highs were that much higher, and the lows so much more emotionally challenging because her performance was outstanding. A highly recommended book, from someone whose own children are older than the characters in this book. This book is too good to have its readership defined only as a Young Adult genre. It's a great book by any measure. John is effective in taking us into the lives and love of a couple. I enjoyed the lump in my throat emotions as I fight through them to keep listening. and the themes I enjoyed appropriately existential, intelligent but I did find the main character very very mature. And I am still not sure how I feel about that. The amazing story of infinity. The story in this book is amazing. It shows the sore truth about love and it discuss the idea of infinity. I enjoyed it and I liked the idea that &quot;Some infinity are bigger than other infinity&quot; EVEN IF I STILL TRYING TO IMAGINE IT; NOT BELIEVING IT. Also, I learnt that people with disability don't need that kind of Compassion which is in fact just pity. I'll recommend this book for those who suffer bad time or have some kind disabilities. To be more general I'll recommend it for all young adult 'cause we all will experience some kind of this story. This book means so much to me this is because I have had a family member die from cancer. That book was just some thing that I could relate to. John Green has written a funny and charming novel and that's how he rips out your heart.